In this follow-up article in our Spotting a Scamcoin series, we review some of the recent developments in the aftermath of Bitconnect, one of the most costly and devastating cases of crypto-related crime to date, in which (at least) thousands of investors were conned out of (what is now) billions of dollars worth of funds, and catch you up on some pertinent information which has made the news since our first article on Bitconnect. Perhaps the biggest fraud in the history of cryptocurrency, the failed Ponzi scheme known as Bitconnect, continues to make waves in the media and its ex-investor community, even months after it suddenly ceased paying out investors. Bitconnect exhibited an array of early warning signs that indicated the project was a scam, such as promising huge returns on investments and giving little to no information on how profits were actually obtained. For those who are still unfamiliar, the premise of Bitconnect’s (fictitious) business operations were that they had developed a “black box,” foolproof method of consistently profiting from arbitrage trades, where basically bitcoin is bought at one exchange for a lower price and sold at another exchange for a higher price. Anybody could register with Bitconnect and “lend” them funds to partake in a cut of their daily arbitrage program earnings. Encouraged by the miraculous stories of others who had indeed withdrawn substantial profits from the platform, investors from all around the globe poured millions of dollars into the project, never really questioning the inner-workings of the “crypto miracles” they were witnessing, or how it could possibly be sustainable. Their official videos are effectively promising 1% daily returns and touting this as the primary benefit of the project. Ethereum and bitcoin, on the other hand, are backed by a proven and consistent record of 200-700k daily txs and $100k-4m daily txfees. Despite being called a scam by investment fund managers and top developers in the cryptocurrency community, thousands of investors remained undeterred, too drawn in by the BitConnect Coin’s skyrocketing value and unrealistic prospects of obtaining massive profits in a short period of time. Everything went pretty well for the scam for just over an entire year – not bad by crypto Ponzi scheme standards – until the platform suddenly ceased paying out its investors, followed by a rapid decline in the value of BitConnect Coin. 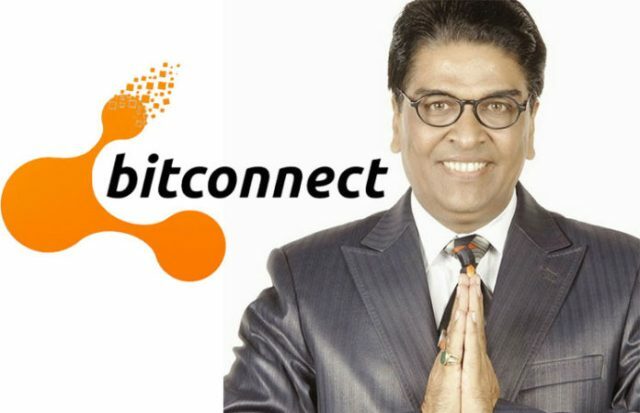 After the sudden end of its operation, the Bitconnect scam was initially thought to have bilked investors out of somewhere north of one hundred millions of dollars, but this figure has since ballooned into the billions after news surfaced that thousands of Indian customers were being duped the whole time as well. The ramifications of the insidiousness of Bitconnect are now huge and seemingly growing day-by-day, perhaps even the root of India’s decision to effectively ban crypto-to-fiat trades in the world’s second most populated country, home to over 1.3 billion people. Not only was Bitconnect a Ponzi scheme to begin with, but the funds collected by Darji on behalf of thousands of investors (worth “tens of millions of rupees”) frequently were never even used to purchase BitConnect coins (BCC) or invested into the platform’s (fraudulent) lending program, rendering his actions a fraud-on-top-of-a-fraud. 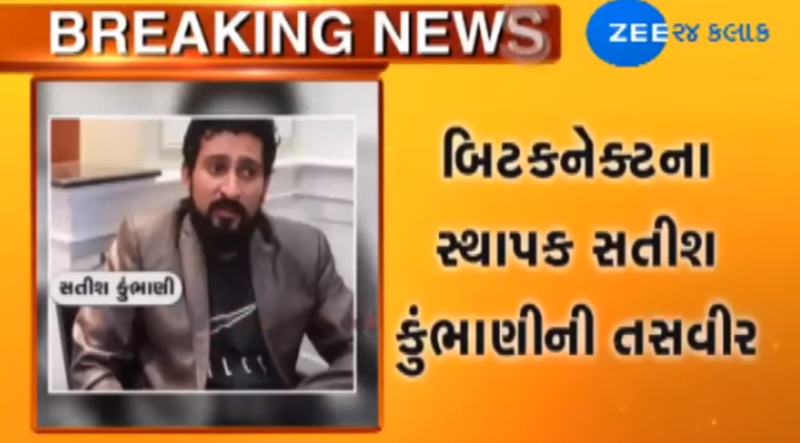 Darji’s scam gained international attention only after Indian contract builder Shailesh Bhatt alleged that policemen from the country’s Amreli district kidnapped him and his business partner in an attempt to extort 9 million rupees from them. Bhatt himself was arrested soon after for extortion charges of his own, robbing bitcoin and cash worth over 155 million rupees at gunpoint from men who worked for Satish Kumbhani, a former Bitconnect India promoter. Bhatt had also invested in Bitconnect but lost money when Kumbhani and Darji shut down Bitconnect’s India offices. After the closure, Bhatt kidnapped two of Kumbhani’s former employees and forced them to send 2,400 bitcoins to Bhatt’s personal bitcoin wallet. Only after this information came to light did Kumbhani, Darji and other Bitconnect promoters find themselves on the radar of Indian authorities. After investigations into the matter commenced, it quickly came to light that Darji was actually the head of the entire Bitconnect operation, using his influence to con high-ranking politicians and financial advisors out of billions of dollars. Kumbhani and Darji closed the Bitconnect exchange and disappeared with millions of dollars in ill-gotten funds in January of this year, preventing investors from trading BCC tokens or withdrawing their sums of bitcoin kept on the Bitconnect platform. Chaos ensued in the community and the price of BCC dropped 95% over the course of one week. Trevon James is known as being social media’s most vocal supporter of Bitconnect. He started promoting the project as early as 2016 on YouTube, then became an avid proponent of it on Twitter and Steem as well, using his ever-growing fanbase to preach the “virtues” of “passive income.” It is estimated that he made at least several thousand dollars collecting referrals to Bitconnect that he regularly tweeted out and included in his YouTube videos, which is basically money collected from those he helped sucker into the con. The top 10 Bitconnect-referring YouTubers posted more than 70,000 hours of content advancing the scam, generating some 58 million views in the process. Even well after Bitconnect was exposed as a Ponzi scheme and its tremendous collapse, James continues to promote it with his Twitter account. Perhaps most fascinatingly about this is the fact that he still supports and pushes the coin even after he self-announced he would be testifying to the SEC about his involvement with Bitconnect this September. James, who has been under investigation by the FBI (along with Bitconnect) for five months already, seems pretty confident that they will not find him guilty of any wrongdoing, yet his brazen, continued support for what is 100% known to be a Ponzi scheme has many in the crypto community questioning his mental stability. Even though his social media credibility has fallen significantly since Bitconnect went belly-up, he still maintains an audience of over 26,000 Twitter followers, some of whom somehow still believe he has done no wrong and can do no wrong. For those truly interested in knowing the fate of Trevon James, a lot more will be determined after his hearing with SEC on September 16th. Though very few Bitconnect investors were actually paying attention to the finer details when times were good, only days after the collapse of BCC was it revealed that one of its chief American promoters, Glenn Arcaco, was named as Director of Bitconnect International, Ltd. Like James, Arcaco had developed a strong social media following and used his influence to direct people toward the purchase of BitConnect Coin and investing in the platform’s “lending” program. In a YouTube video from September 2017, Arcaco claimed to have made over $4 million from Bitconnect’s lending platform, generating over $70,000 in commissions from referrals. On January 11th, just days before BCC’s imminent collapse, Arcaco fled the country and appeared to go into hiding. Less than a month later, a flurry of class action lawsuits had named Arcaco as a defendant after his name was discovered on paperwork filed for the formation of Bitconnect International. Arcaco used some of his Bitconnect money to hire a top notch legal team that quickly put up vigorous objection to his involvement with the scam, claiming that he was not liable because he never directly sold BitConnect Coins to any individuals, and that the primary reason for his fleeing the country was that he feared his passport would be invalidated and he may not have the chance to travel outside of the country at a later date. Arcaco returned to the U.S. in later months, but only after being detained at the airport and thoroughly questioned by the FBI. Recently it was uncovered that his legal team had made the move to dismiss one of the class action lawsuits against him on the grounds that Bitconnect was never actually an investment and simply “gambling” all along. The move may have some legal merit, but only if it is decided by the courts that “investments” (or “bets”) made in BitConnect Coin is not the same thing as purchasing securities. In order for this to be proved or disproved, the SEC must intervene and decide if BCC passes the “Howey Test,” a rule-of-thumb test based on whether or not an investment opportunity meets certain criteria. If it does, it is considered a security by the federal government, and thus unlicensed by the SEC to act as a securities exchange operator, which would be bad news for Arcaco. A full copy of the lawsuit can be found here. Not necessarily devious is nature, Carlos is more likely to be just an extremely hapless Brooklyner who managed to get mixed up with some very bad dudes. 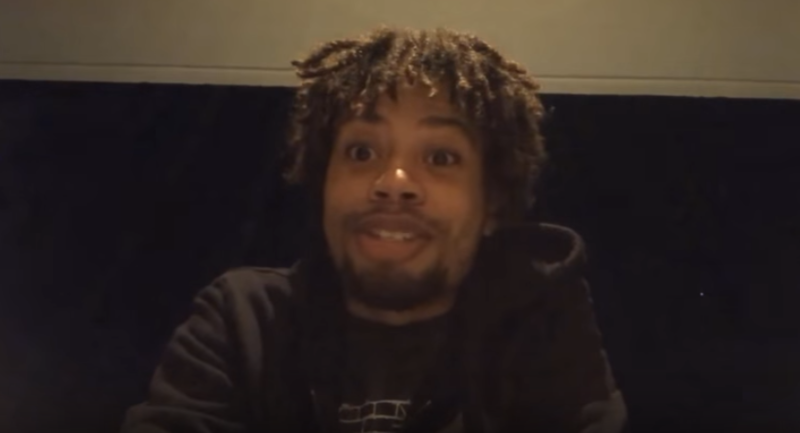 Unlike Trevon James, he has pretty much disowned Bitconnect by this point, not necessarily angry with his permanent semi-celebrity status as a widely circulated internet meme. In a tale true to fashion of “Where Are They Now?”, according to his Twitter, Carlos’ current professional calling is unironically selling Herbalife products. Herbalife itself is quite frequently likened to a pyramid scheme, ala Amway, Avon, or… Bitconnect. According to his YouTube feed, he is now an avid fan of water fasting, for reasons of which we probably shouldn’t speculate publicly. If you really were to feel sorry for Carlos, don’t; after all, has anybody ever remixed a speech that you gave into an EDM video with over 1 million views on YouTube? Probably not.